Yeah, sometimes you can get lucky. Like I did today. 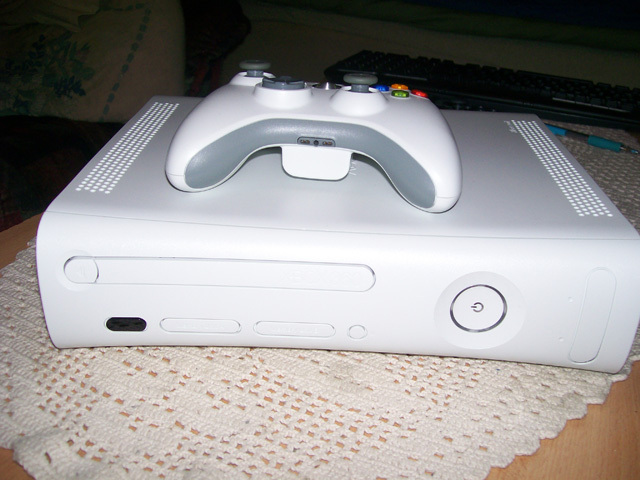 I met with an old friend who gave me his old Xbox 360. Well, I gave him 100SEK for it, but that was mostly so he didn’t give it away totally free. Love that friend! Its an older machine but with an HDMI-port and he never played anymore. So better it comes to some use, just hoping it wont die on me… Well now I’m finally going to play Tales of Vesperia!! I was going to play it all day today, but got interrupted by two friends, Elden and Stingdragon that came and visit me. That was a nice surprise. They brought gifts! 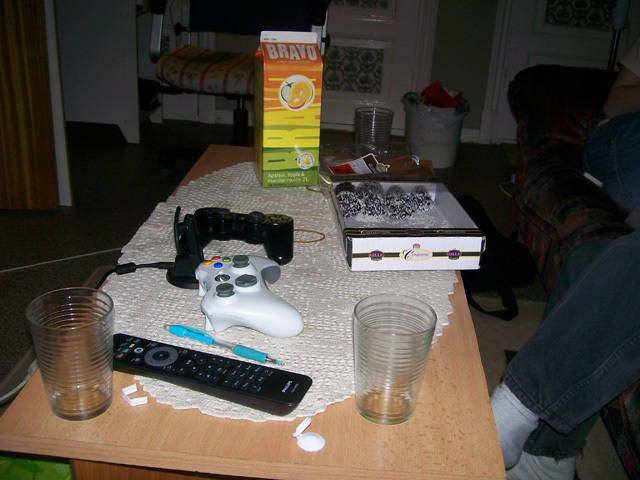 Well some cookies but still, it was very nice. Don’t get visitors all that often. Congratz! Give it a big chance and you will find some great times with 360. Don’t get to meet him to often anymore, so I’m even glader for the X360.